Did you know Bariatric Surgery leads to better glycemic control than intensive medical therapy in diabetic obese patients? Bariatric surgery also had better quality of life and used nothing or fewer diabetes and cardiovascular medications in obese. Sannidhya MULTI Speciality Hospital, South Bopal, Ahmedabad key hole laparoscopy surgery is accomplished by reducing the size of the stomach with a gastric band or through removal of a portion of the stomach or by resecting and re-routing the small intestine to a small stomach pouch and that way your body comes in shape. 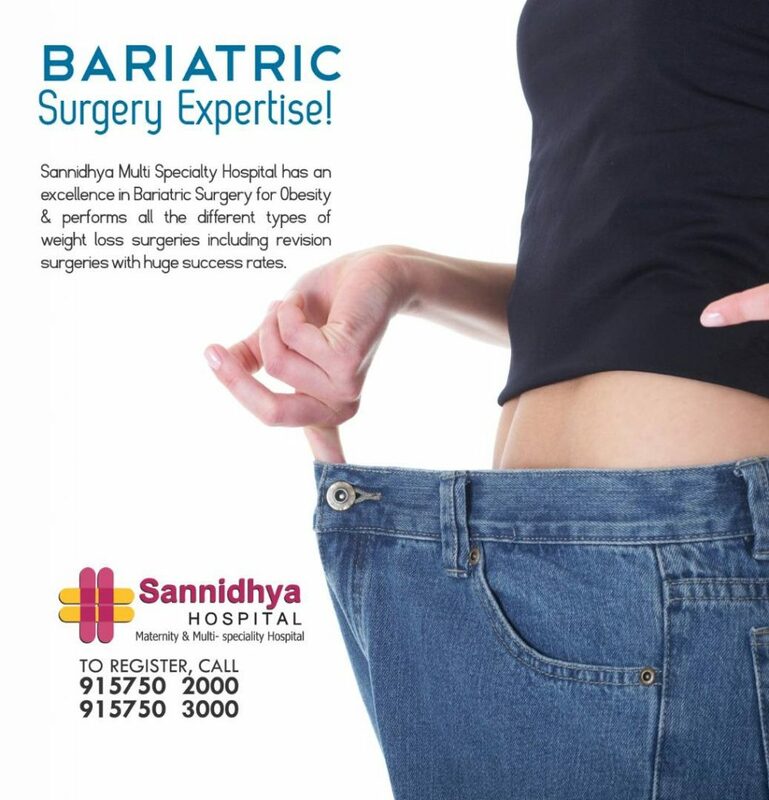 To Consult our Senior Consultant Laparoscopic Bariatric Surgeon call on 915750 2000/3000.